It’s the Kobayashi Maru–a no-win situation–come to Harrison, Michigan. Harrison is a community of some 2,000 people located near the middle of the state’s lower peninsula. Harrison and the surrounding area are relatively poor lacking any major industries and having to depend on tourism and agriculture to stoke its economic engine. And even in regards to tourism, Harrison is more of a stopping point than a destination. That’s why when Doug and Robin Longenecker, came to town with the promise to being in more tourists and their dollars, the Longeneckers were welcomed with open arms by most of Harrison’s citizens. Unfortunately, one important group of citizens, a group that really matters most–its neighbors–don’t want it. The facts of the story are this: The Longeneckers purchased 200 acres of land located about 4 miles east of Harrison on Mostetler Road for an attraction they called Michigan Moto Mania. It would be a road park for motorcycles, quads and various other vehicles. 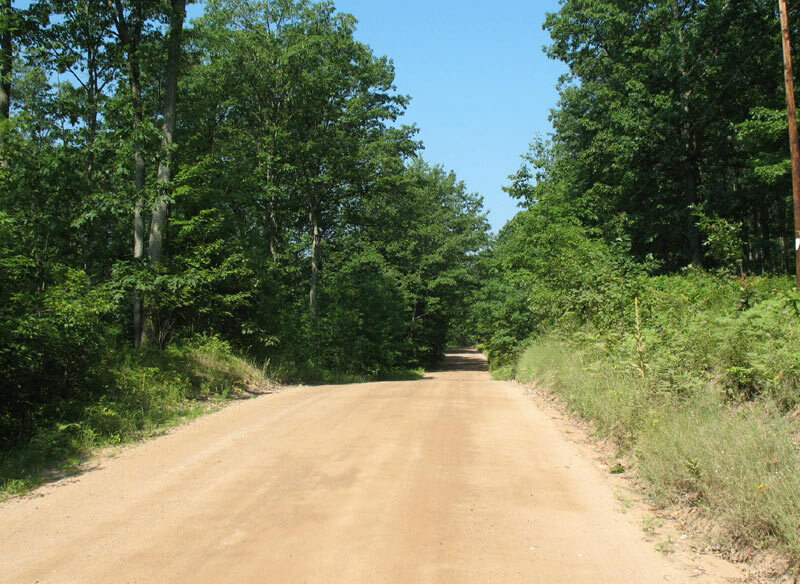 The property the Longeneckers chose consisted of rolling terrain off of a lightly traveled country road. The surrounding area had few residents, but most of the land was in private hands with some state land sprinkled about. The Longeneckers purchased the property on land contract after receiving a variance from the township zoning board that the land could be used for the purpose the new owner intended. The township zoning board, consisting of volunteers, was more than happy to grant that variance, especially since it would mean additional visitors and dollars to the community. There was just one problem. The zoning board gave its blessing to the plan without giving the neighbors in the immediate vicinity proper notification as required by law. 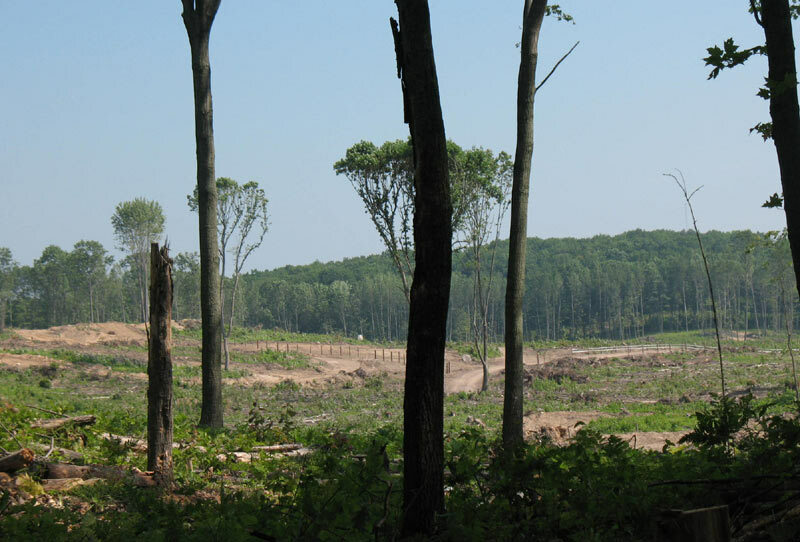 So when the Longeneckers began to cut down trees and bulldoze trails for MMM, several neighbors went ballistic–and one can’t blame them. Most of the neighbors purchased their property in order to enjoy the peace and quiet of the countryside, to watch deer in their yards along with wild turkeys, fox, birds and other assorted wildlife. They didn’t have anything against a resort for motorized vehicles, they just didn’t want it located on Mostetler Road where they would be subjected to the whine of small motors and the roar of large motors day in and day out. So the neighbors filed suit and have stopped MMM in its tracks and trails. Although the Township Board and Township Planning Commission have both voted in favor of MMM, the Zoning Board of Appeals and the township attorney have ruled against it. The courts have so far failed to rule other than to keep the track from opening and tossing the problem back to the township to resolve. So it’s neighbor against neighbor. The Longeneckers played by the rules, but may lose their investment due to the incompetence of a zoning board that consisted of volunteers who were trying to do what they thought was the right thing. However, members of that board failed in their duty to protect the rights of nearby landowners who should have had a voice and who just want to enjoy their isolated homesteads in peace. MMM has a Facebook page and has more than 2,100 friends. At least one blogger opposed to the resort posts on a blog called the Hayes Township Watchdog. Sadly, both sides demonize the other. So no matter what happens, someone is going to be harmed and someone’s rights will be trampled. It’s an ugly situation in a town my wife and I have grown to love. Update: According to an article in the January 13, 2011 issue of the Clare County Cleaver,a local newspaper, the Longneckers have submitted a new plan “complete with a variety of nature-themed activities including horseback riding, cross country skiing, hiking and camping.” The same article states that the opposition seeks removal of Zoning Board Chairman Lyle Criscuolo from the Zoning Board stating he is biased toward granting a permit to Longeneckers to open their resort. You have summed up this no-win situation quite succinctly. However, there are just a couple of points on which you are mistaken. The Hayes Township attorney, David Dreyer has not come out against Michigan Moto Mania. He is neither for nor against it as he represents Hayes Township’s interests. He is for the path of least litigation for his clients. 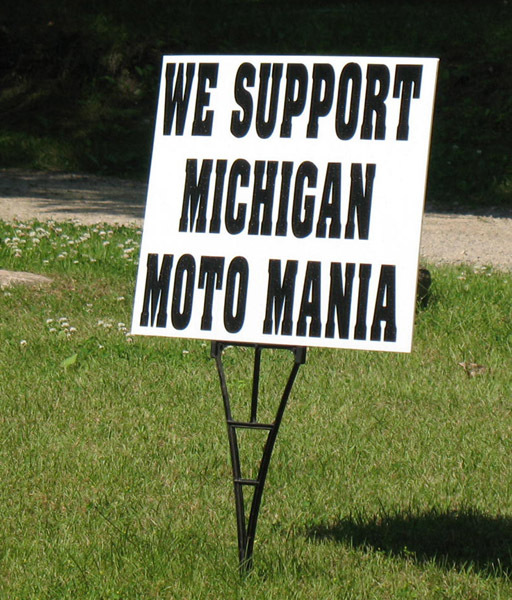 The neighbors do not want Mr. Criscuolo removeed because he is in favor of Michigan Moto Mania. We want Mr. Criscuolo removed for knowingly and willfully ignoring the Zoning Ordinance. He has been on the Planning Commission for 22 years has chaired both the Planning Commission and Zoning Board of Appeals (not Kosher) for the last 15 years and took part in writing both the Master Plan and the Zoning Ordinance. He knew exactly what he was doing. He knows the ins and outs of both documents he helped write. The members of the various boards are compensated monitarily for the meetings they attend. Therefore they are not volunteers. Once again the Planning Commission has approved Mr. Longenecker’s Special Use, this time without conditions. The neighbors intend to appeal it once again to the Zoning Board of Appeals. Mr. Longenecker’s lawsuit against Hayes Township will be heard by Judge Mienk on 21 March 2011. Judge Mienk required the Township to exhaust it’s system before the court would intervene. Call me wind because I am ablsoteuly blown away.